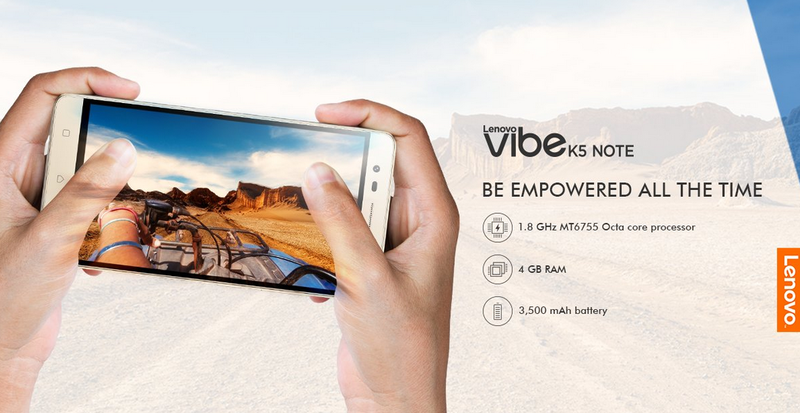 Lenovo has launched its successor for Lenovo k4 Note. The phone will be available in open sale through Flipkart. 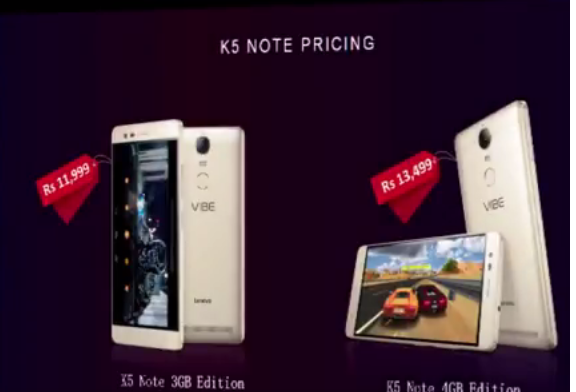 Lenovo K5 note will be available in two variants one with 3GB RAM and other with 4GB RAM. Lenovo is giving VR bundle (Theatremax Controller+ ANTVR Headset) at a discounted price of Rs 999 which will be valid for the orders which will placed in the first 24 hours of the sale (from August 3 to August 4). K5 Note will be powered by 3.500mAh battery. Lenovo K5 Note will come with Lenovo Pure UI based on Android 6.0. Price for the 3GB RAM variant is set to Rs. 11,999 and for 4GB RAM variant it is Rs 13,499. Lenovo K5 Note comes with 32GB internal ROM and it can be expanded to 160GB with a micro SD card. This phone will run on Mediatek MT6755 clocked at 1.8GHz and coming to the photography section this phone is loaded with 8MP selfie (77-degree wide angle and 1.4 micro sensor to capture more light) and 13MP rear camera. It has metal body with a Finger print sensor at back. This phone will be available in Champagne Gold, Graphite Grey, Platinum Silver. Comparing it to its Chinese variant the biggest difference which we have seen is the RAM the Chinese variant has a 2GB of RAM and runs on Android 5.1.